July 2018 Selfie Instagram Winner! Ain’t no hood like motherhood with Customized Girl’s selfie Instagram winner! This mother knows how to hustle and look good while doing. This clever design was actually created by our March selfie winner and has since gained a huge amount of popularity with all mother hustlers worldwide. Custom and funny mom shirts have taken the internet by storm. It doesn’t matter if they fitness enthusiasts, entrepreneurs, or stay-at-home moms – these ladies are expressing themselves through their clothing and we can’t get enough! June 2018 Selfie Instagram Winner! Let’s give a round of applause for Customized Girl’s selfie winner for the month of June! Our selfie winner for the month of June really hit it out of the park with her custom design. She was looking for a cute and unique way to show off her reigning title and decided on a custom baseball jersey. We really love how this trendsetter gave a new spin with her title aside from the typical sash and gown. This only shows that Customized Girl offers so much than custom shirts and that possibilities are endless when you are designer! May 2018 Selfie Instagram Winner! Have a laugh with Customized Girl’s selfie winner for the month of May! Everyone knows that Customized Girl is the go to place when you need custom shirts for any special occasion or event. However we truly pride ourselves on having the most fashionable products available as well as the trendiest designs online. From pop cultures references to the latest meme – we’ve got them all. Our May Instagram winner is proof we still got it as she gives a fresh and fabulous photo in one of our most trendiest designs from 2017. It’s always exciting to see these trends take on new life and we can’t wait to see what takes off for 2018! April 2018 Selfie Instagram Winner! Fall in love with fitness with Customized Girl’s April selfie Instagram winner! When it comes to custom apparel for small businesses Customized Girl is the go-to place. Hair stylist? Check. Chef? For sure. Personal trainer? Got ’em. Customized Girl has a plethora of custom business shirts to help get your name out there and that’s exactly what our April selfie Instagram winner did! She’s a personal trainer advertising her fit-tastic brand by letting everyone know that she is the best personal trainer ever. No joke people. March 2018 Selfie Instagram Winner! Mommin’ ain’t easy but this mom sure has it down as Customized Girl’s March selfie Instagram winner! Moms the word when it comes to our March selfie winner. 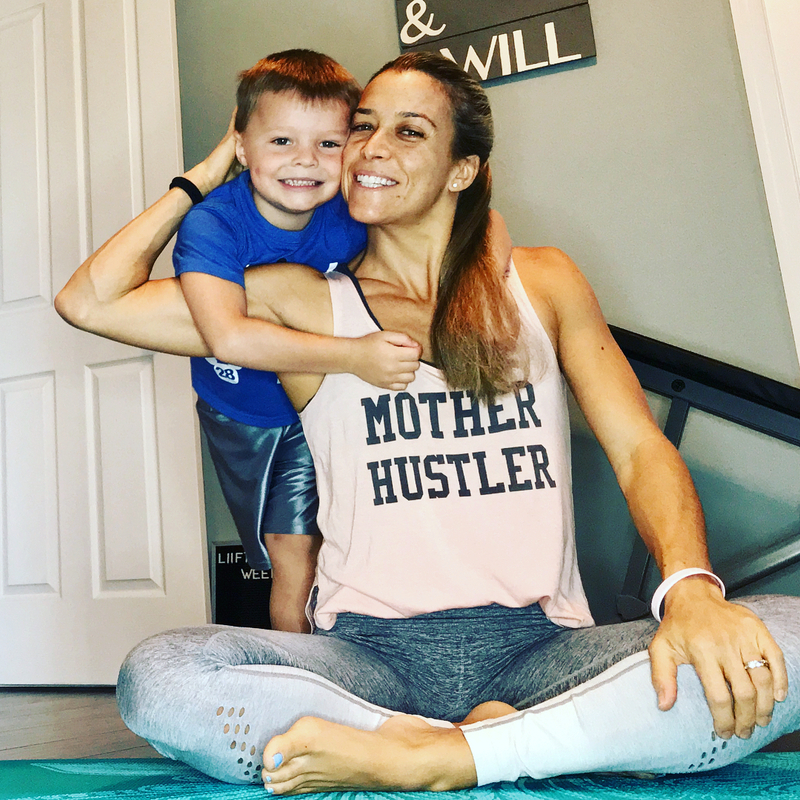 This momster created a design from scratch to show off her hustler status and it’s pretty epic. Mother’s Day is around the corner and she deserves a gift that is unique as she is from our huge selection of custom Mother’s Day gifts. Give her a gift she’ll never forget or follow this Mom’s lead and create something for yourself! February 2018 Selfie Instagram Winner! Mad props to Customized Girl’s February selfie Instagram winner! Customized Girl’s selfie winner for the month of November is not just one design but features two matching designs! 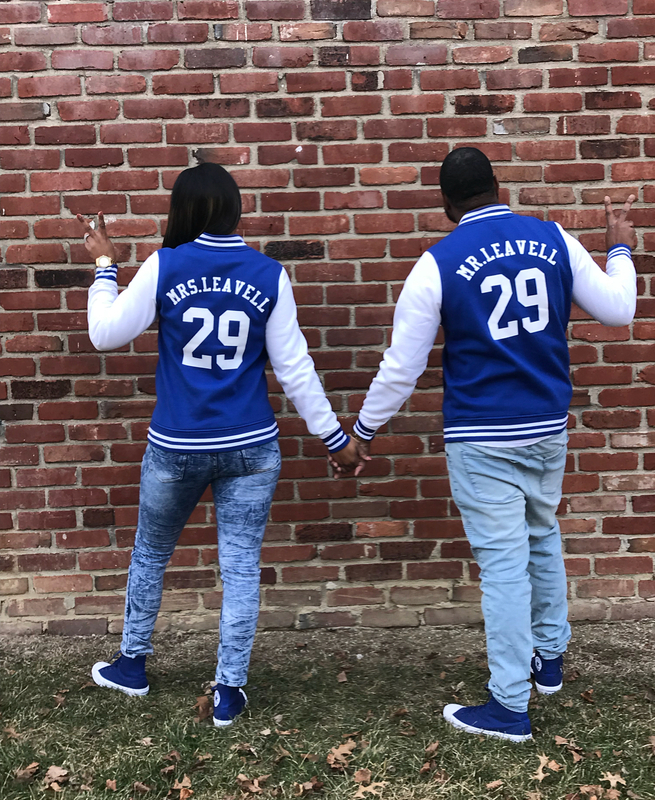 Matching couple shirts and best friend shirts are a big deal at Customized Girl but these lovebirds elevated their trendiness by creating their matching designs on custom letterman jackets. We love the old school vibe this couple created and can’t wait to see what they come up with next! January 2018 Selfie Instagram Winner! Give it up for our January selfie winner! Customized Girl is starting off the new year strong with an epic selfie. A lot of our customers come to our website to create memories and to make their moment come to life. 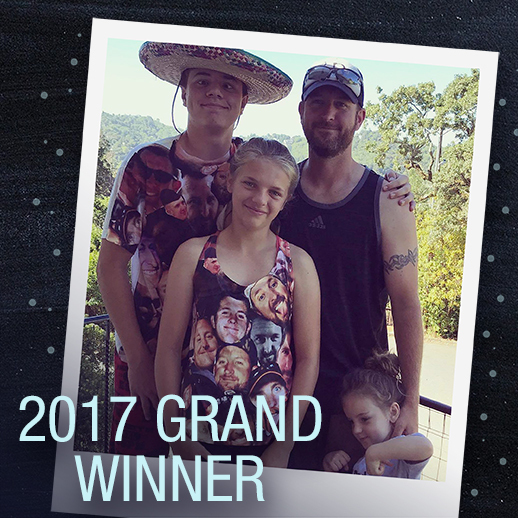 Our January selfie winner is no exception and created matching shirts for the entire family to wear during their one in a lifetime vacation. We love to see families making the most of their adventures with custom apparel and enjoy when they share their moments with us! Another year filled with amazing selfies has gone by. Casting our votes for the grand prize winner was not an easy task but Customized Girl is excited to announce our 2017 grand prize winner! Our June Instagram winner is a creative mom and an even more devoted customer who has created several unique designs for many events. All over print shirts for father’s day? Check. Matching shirts for marathon? Check? She’s created all of her designs from scratch that are surely gallery worthy. Customers like our grand prize winner really make us excited to see what innovative designs they will come up with next! A huge thank you to all of our selfie entries from 2017. Customized Girl is always searching for the newest and coolest craze in fashion and we can’t wait to see what our customers will design in 2018! Missed out on 2017’s Instagram contest? No worries! All customers will have another year and a chance to win monthly prizes. Learn how to submit your selfie here. 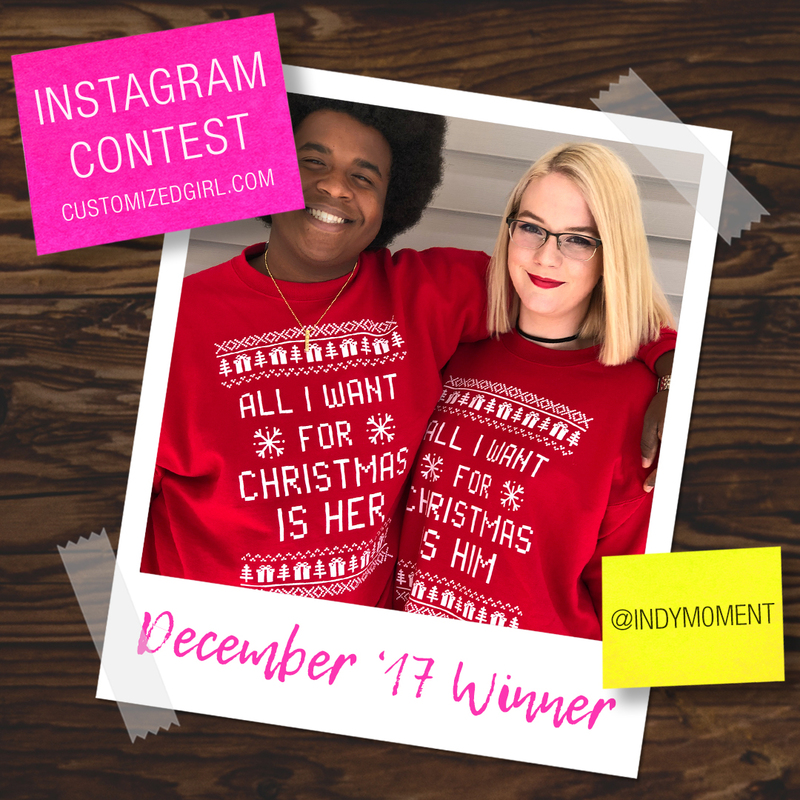 December 2017 Selfie Instagram Winner! ‘Tis the season for Customized Girl’s December Instagram selfie winners! December is always one of our favorite months at Customized Girl. All month long we receive the most festive and creative designs from customers who are getting in the spirit for the holidays. Our December selfies winners won our hearts by mashing up two different concepts to show off not only their love for the holidays but their love for one another. This crazy cute and merry couple used our design center to create their matching couple sweaters from scratch and we have to say we are impressed! November 2017 Selfie Instagram Winner! Say “cheese” for our November Instagram selfie winners! Customized Girl’s selfie winner for the month of November is not just one design but features two matching designs! Matching couple shirts and best friend shirts are a big deal at Customized Girl. 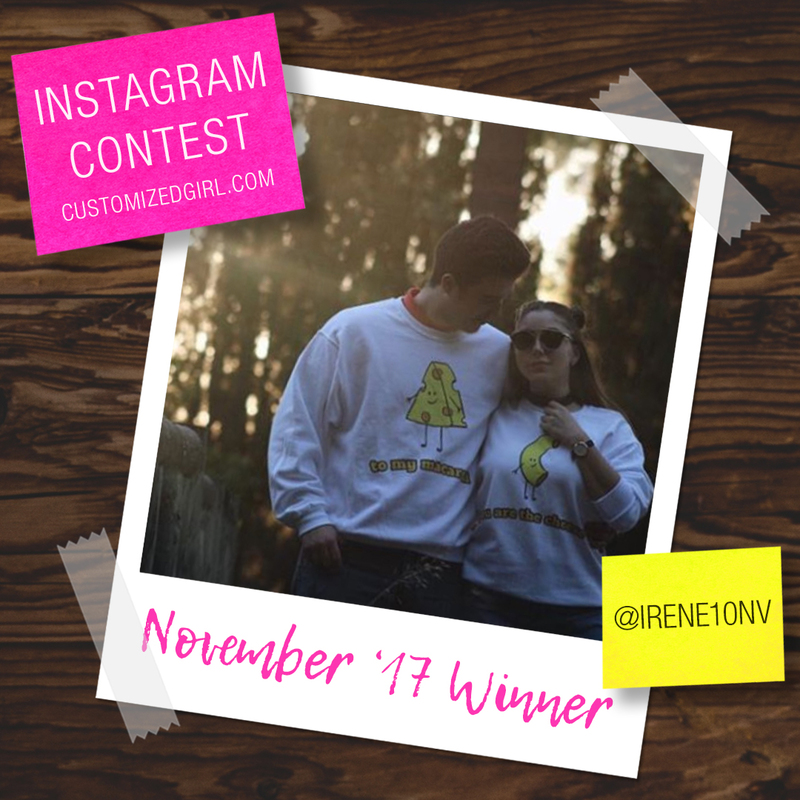 We are excited to have our first winning couple as they rock their custom macaroni and cheese matching sweatshirts! It might sound cheesy but we think it’s grate. Too much?